Use Your Business or Non-Profit To Help Radvocacy™ & Swipe Away Poverty®**! Radvocacy™ has partnered with Swipe Away Poverty® part of Prolific Business Solutions® to make every swipe count. If your business or non-profit uses credit cards, with every transaction, they can help these two non-profits meet their goals. Prolific also promises they will save your business or non-profit money, or they will give you $500 for your time. How can you say ‘No’ to that? I mean really, if they can’t save you money, take the $500, keep it, or give it to your church, another non-profit, or donate it to Radvocacy™, we certainly need it. Better yet, if you sign-up, these non-profits get a portion of Prolific’s profit. Just think, does your current credit card processor help Non-Profits? Paypal doesn’t. If your’s doesn’t, switch today! The pennies add-up! Fill-out the application, and Prolific will walk you through the process answering all of your questions. If you like what you see, please consider switching to Prolific. Prolific Business Solutions specializes in both credit card processing and award winning customer service that will fit any type and size of business. Prolific guarantees to save you money, or they will pay you $500. Prolific Business Solutions offers you the products and services needed to maximize your bottom-line. They have earned one of the best reputations in the payment processing industry, which has resulted in the continual service of thousands of merchants on a national basis. They service all types of businesses, whether brick and mortar, online, catalog, or all three – you need payment processing that is fast, secure, and reliable and you need to know that your processing partner is there for the long haul with innovative thinking that can benefit your business. 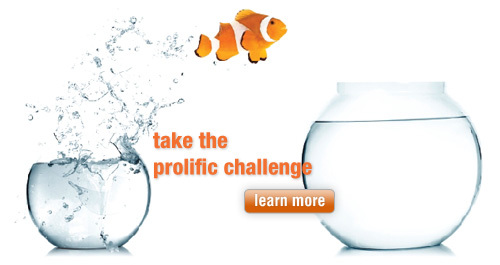 Prolific is also known for having the nation’s top customer support team. An experienced technical support representative is always there 24 hours a day, 7 days a week, 365 days a year. 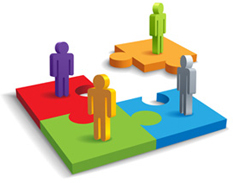 Most importantly, their company is led by executives that believe they can serve the good of the community best with the strategic implementation of payment options through all retail outlets within a non-profit or business (storefront transactions, online shopping carts, recurring payments, donation kiosks, mobile credit card processing, etc.). Furthermore, Prolific has partnered with Compassion International through Swipe Away Poverty®, and gives 10% of profit earned through applicable merchants to Compassion International. They currently sponsor 154 children all over the world and will be supporting our own community project in 2012. Solutions for credit card processing.